A man who is not Lenny Kravitz. Instead of uniting Hollywood’s coolest family this side of the Knowles-Carters, Big Little Lies has gone in a, um, different direction. Per The Hollywood Reporter, Weeds alum Martin Donovan will play the father of Bonnie, played by Zoë Kravitz. 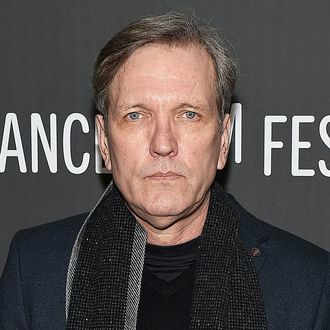 Yes, Martin Donovan, who is not — we repeat not — Kravitz’s IRL dad (and music icon! and Nicole Kidman ex-fiancé) Lenny Kravitz. Likewise, Bonnie’s mom will not be played by Kravitz’s real-life mom (and television icon!) Lisa Bonet. Instead, HBO is going with Crystal Fox, robbing us of a potential Lisa Bonet–Meryl Streep showdown. In the Liane Moriarty novel on which the series is based, Bonnie’s father was abusive. THR’s casting news doesn’t specify what direction the HBO series will take with the father character, but reports that Bonnie’s mother will be “controlling and emotionally abusive.” Again: These characters will not be played by Lenny Kravitz and Lisa Bonet, because that would’ve been, like, a little too perfect.